Squaw is the most well-known of the Tahoe resorts and was the host of the 1960 Winter Olympics. There is a lasting legacy of ski culture from that which attracts and cultivates some of the best skiers in North America. 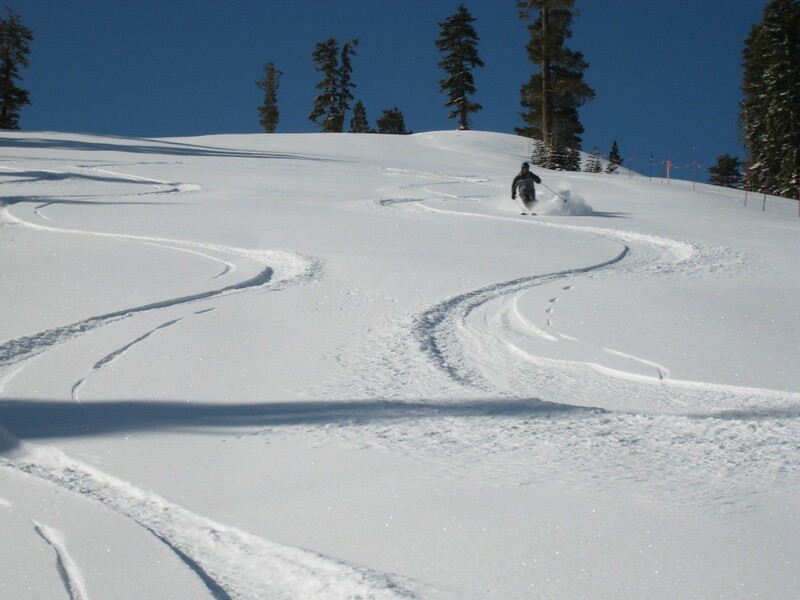 Most people would rate Squaw as the best ski resort in Tahoe. I first visited Squaw Valley in 1972 sometime around Christmas, only 12-years after the Olympics. I remember there not being much snow, and that was before snowmaking so there was a lot of hay skiing at the bottom. After I moved out here in 1993 I skied Squaw several times in the 90’s. AiRung first skied there very early in her ski career in 2002. They used to have $5 tickets for the kids with the purchase of an adult ticket, so it was a great deal for the family. We have been back several times since 2002. 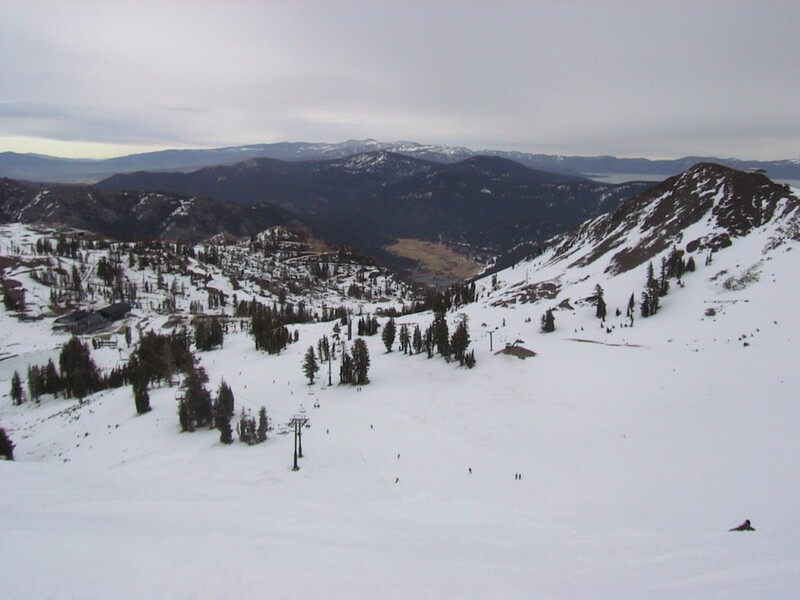 There is a lot to choose from at Squaw, but the most popular lifts are Shirley Lake, Gold Coast, and Siberia. This is where most of the intermediate terrain is. Advanced and expert skiers have a lot more to choose from at lifts like KT22, Silverado, Cornice, Emigrant, and Granite Chief. They do a great job with steep grooming there, so even lifts like Olympic Lady usually have at least one way down that is groomed. Somewhere around 2004 they put in the Village, which is a nice walkable collection of restaurants, lodging, and stores. The on-mountain food service and facilities are good, and they have slowly upgraded the lift system to where it is fairly efficient, although there are almost always long lines at Shirley Lake and Gold Coast. All this sounds really good, so why did AiRung rank Squaw #3 and me #4 in Tahoe? The problem is the attitude we almost always encounter there. It seems like every time we go something happens which spoils it. Examples are things like being trapped on the Funitel with some really rude kids, getting yelled at by locals (twice), and being followed around by someone yelling “Happy 420 day!” to us on April 20th a few years back when we were skiing with the kids. Add in the locals straight-lining the Mountain Run at the end of the day, and we’d just rather go somewhere else. 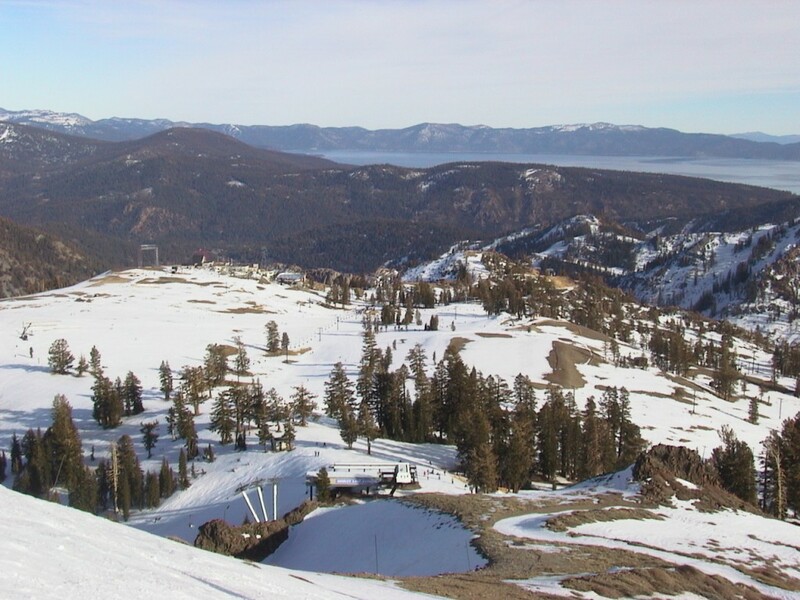 Although the top of Squaw is at just over 9,000 ft, most of the terrain is below 8,500 ft, which seems to be more of an issue in the past few years with higher snow levels and warmer temps. Due to lack of trees and exposed terrain, wind can be really bad. Lift lines are common on the intermediate terrain. 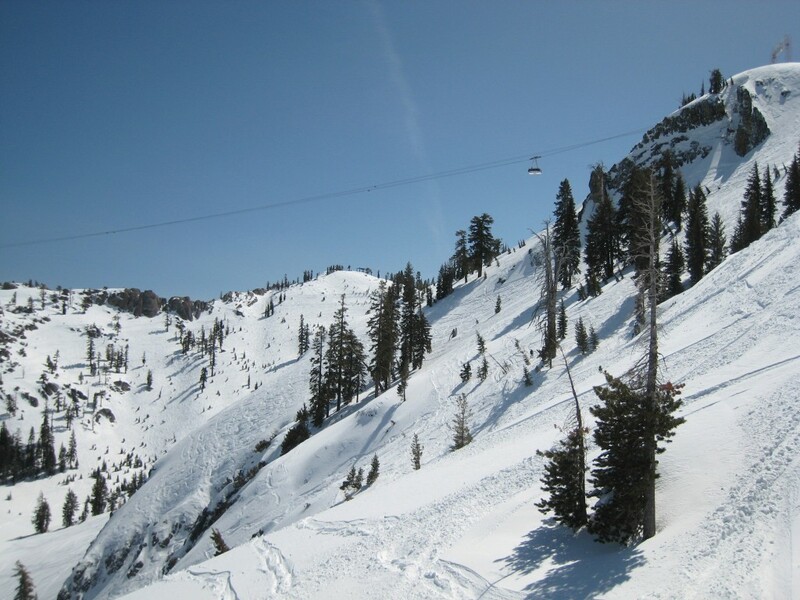 The last time we skied there midweek in March 2010 was a moderate powder day with cool temps and very few people. There were few people there since it was midweek and we were able to find some pretty nice powder even hours after opening. 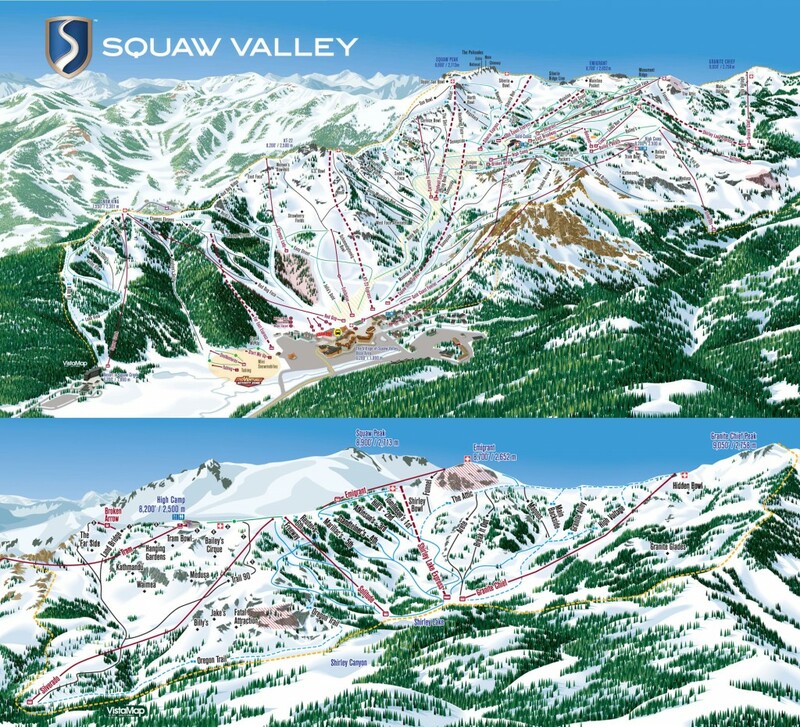 It isn’t our first choice, but we will definitely be going back to Squaw for the steep groomers and vast terrain.